Hello there, and welcome to issue 6 of The iOS Times. Turns out most of this week’s interesting projects are UI related. I am always careful with UI libraries, as they might turn out not to be as flexible as you need them. The best way to find out is to head over to the library source ad have a look at the headers and implementations 👾 But enough with the chit chat, let’s get started. A framework to make tutorials, release notes, and animated pages. It has a well documented set of APIs and components to build fine tuned transitions between a page and the other. Create a beautiful 2D fluid animation that can be used to simulate a filling effect. I can’t imagine myself using this in any project at the moment, but the effect it creates is quite neat. And if you look at the implementation you can find a good example of key frame animation. A single API to ask the user for permissions. We briefly mentioned this project last week, and it has gained lot of interest in the meantime. Koloda is a class designed to simplify the implementation of Tinder like cards. It adds convenient functionality such as a UITableView-style dataSource/delegate interface for loading views dynamically, and efficient view loading, unloading. Display user coach marks with a couple of shapescutout over an existing UI. This approach leverages your actual UI as part of the onboarding process for your user. Displays user coach marks with a couple of shapescutout over an existing UI. This approach leverages your actual UI as part of the onboarding process for your user. 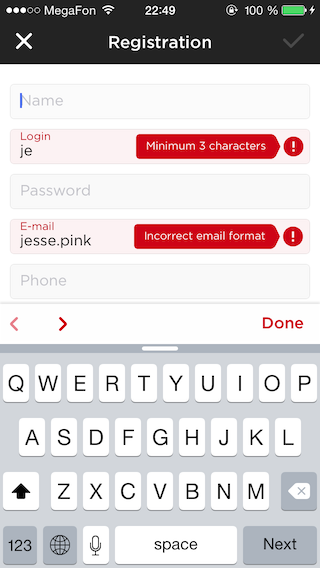 A UITextField category with a simple API to show error messages, useful if you are doing any kind of input validation. QuickRearrangeTableView a UITableView subclass with quick rearrangement and two possible styles hover and translucent. VASRefreshControl Simple pull to refresh control with support RACCommand. WMPageController and PageController two takes on the implementation of page controllers. Thank you for reading The iOS Times, if you have comments, complaints, suggestions, or any other feedback please tweet us @mokacoding.